Nikolay is a Russian in-house lawyer domiciled in Moscow. Nikolay has been dealing with foreign business since 2005 and has participated in a number of projects which has included full-scale legal support and management of start-up projects in Russia. Nikolay has experience in organization and management of businesses in Russia and believes that his core goal as a lawyer is to bridge Russian reality with foreign attitudes by providing high quality legal services and business consulting. 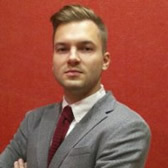 Nikolay is responsible for the Russian section of the ContractStore.